Let us begin by looking at the financial performance of Tesla, Ford, and General Motors, shall we? I like to use Market Watch for info as they have very comprehensive data. Not to insult your intelligence, but both Ford and GM made money while Tesla lost money. Let us take a look at how the stock market and investors valued each of the companies with an eye toward their financial performance noted above. Whoa, hello, America — Tesla is worth $48.11B and Ford (which made a profit) is only worth $44.84B? How is that possible? Can you tell me the names of the CEOs of Tesla, Ford, General Motors? This is a test, but the Big Red Car will not tell you the results. Can you name them? Unit sales — US unit sales — is another interesting data point. 2. Ford sold 2,614,697 units in 2016. 3. General Motors sold 3,042,773 units in 2016. 4. As a frame of reference, Mercedes Benz sold 380,752 units in the US in 2016. So, dear reader, the question on your lips is: How does Tesla have such a high market cap when they lose money and are tiny in comparison to other American car companies and sell relatively few units annually? And, that, dear reader, is called “valuation mojo” and the Big Red Car doesn’t have the answer to that question. The Big Red Car is not editorializing or criticizing how the stock market or investors value Tesla or any of the other companies. The crowd and the markets usually get these things right — eventually. But, hey, what the Hell do I really know anyway? I’m just a Big Red Car. Be kind to yourself and did you love the Tarheels winning it all? Ugly on an ape sort of game, no, but liked the outcome. Thank you for indulging me. This entry was posted in Economy and tagged ford, general motors, tesla, valuation mojo. Bookmark the permalink. Off Topic: This just in. WASHINGTON –President Trump has ordered cruise missile strikes against a Syrian regime military airbase, a defense official said late Thursday. A U.S. official said “more than 50” Tomahawk cruise missiles were launched at the airbase, located in Western Syria. That base was where the U.S. believes the Assad regime carried out a chemical weapons attack on Syrian civilians this week. The strikes were carried out from two U.S. destroyers in the Mediterranean Sea. “more than 50” Tomahawk cruise missiles …”. That’s enough to send a message and have it received loud and clear. Lesson: There’s a new sheriff in town. Message: Don’t mess with the US. So, right, maybe Trump had a chat with Jordan’s King Hussein. Maybe we now know why Bannon just sat in on a National Security Council meeting. And not just Afghanistan but also some parts of Syria? e.g., people who use poison gas to kill babies. The first time you blow someone away is not an insignificant event. That said, there are some assholes in the world that just need to be shot. “That said, there are some assholes in the world that just need to be shot.”, e.g., people who use poison gas to kill babies? I’m going to plead with you, do not cross us. Because if you do, the survivors will write about what we do here for 10,000 years. Message likely also received by an arrogant, dangerous fat slob with a bad haircut in North Korea. could be wrong, a drag race in person would solidify it as they are close. 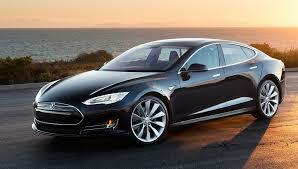 Tesla is a great car. If it got 500 miles to the charge — which it will likely do one day — I would buy one. But, I just don’t want to worry about the lights going out. It would also be nice if they had one with a 1966 Impala convertible body style. exactly, how mind blowing would that be when they take an old body style make and it a new car inside. would be epic American insanity if they did it. Not sure the italian guy would go for it, the one that runs a big car company. And after the 499 miles, with a lot of use of the A/C for July in Texas, you might also want a means of fast recharging. Alas, that might overheat the battery so that maybe have to use a garden hose to rinse the battery to cool it while recharging — maybe, depends on the internal resistance of the battery. A big capacitor would not have this heat problem, but I haven’t heard much about EEStor and their capacitors in a long time. Of course, humans are stupid, evil, sinful, evil, stupid, sinful. The humans, due to their stupid, evil, sinful ways are destroying the earth, that is, Mother Earth, the 100% all natural, sensitive, delicate, protective, nurturing, caring, compassionate Mother Earth. One of the worst ways those humans are destroying Mother Earth is with old, ugly, rusty, grotesquely big, wasteful, private cars powered by fossil fuels that spew filthy, polluting, poisonous, toxic CO2 into Mother Nature’s pure, precious, pristine, 100% all-natural, delicate, vulnerable atmosphere. Those cars are from ugly, old, filthy, dirty, polluting, rapacious, money-mad, greedy, profit hungry, faceless, giant international corporations. From dedicated, devoted Save Mother Earth efforts, by less than an onion skin we saved the good ozone of Mother Earth from the poisonous CFCs from leaky car air conditioning systems. But, now, the evil, juggernaut, giant, money-mad car companies are spewing out bad ozone and filthy CO2, once again to destroy Mother Earth. But, just in time, we have dedicated, devoted, Mother Earth saving Tesla to the rescue with totally clean, non-polluting all electric cars! So dedicated to Mother Earth is Tesla that they are willing actually to lose money! All responsible, caring, public citizens should junk their old smoky fossil fuel burners and to save Mother Earth, avoid terrible retribution and obtain redemption for their sins, drive only a new Tesla! are some scurrilous, despicable, disgusting accusations that the L. Musk businesses, e.g., Tesla, got $5 billion in subsidies. How ’bout that explanation, BRC? The issue of how much in Federal subsidies Tesla has gotten is a scandal that nobody wants to tackle. Not sure if you keep track of Chrysler CEO Sergio Marchionne, but I would be interested to hear your thoughts about him. Homework assigned. Homework to be done. Thanks. You just did the research for me. Thanks! Plus GM pays a 4.44% dividend and Ford pays a 5.23% dividend. At some point in time, the law of gravity shows up and demands a final accounting. Tesla is a small company when measure by actual production. There is no way the big boys don’t go after Tesla and hard. The numbers, right now, are too small to really catch their interest. When all the foreign cars came to the US, US style met the challenge. Tesla has a first mover advantage which is on life support. Give Musk his due. The guy is a huge promoter and as long as the circus is in town, he will be the star. I don’t think you can stuff your failing deal into your mediocre deal more than once. Here BRC is missing out big time and, instead, should offer to each pretty girl/woman posting here, aren’t they all, a nice, cool TX evening, top down ride through the Blue Bonnets to and from some really good BBQ! Missing out, BRC!!!!! Interesting questions, Mr Car. Heaven only knows what the answer might be! On an unrelated note, I watched The Color of Money again the other night, which starred an aging Paul Newman and a young Tom Cruise. Great film, highly recommended…. The old movies are great. Paul Newman was an incredible actor. I still buy his salad dressings because I liked him so much. I watched Zulu which was the debut of Michael Caine the other night. I wonder how one stages a mass Zulu attack? What is the rate per Zulu? I, too, am a big of the Newman’s Own brand — so much so I frequently wish the bottles were bigger (they run out just when you need them most). But I can’t help thinking that salad dressing was not really Mr. Newman’s core business…. As regards the rate per Zulu, well I would say the only possible answer is “can of worms”. You take care too, JLM. Um, ok. I was joking when I said ‘unrelated’…..
How is it possible that money losing Tesla has a larger market cap than money making Ford? How is that possible? It’s called valuation mojo. Read about it here.